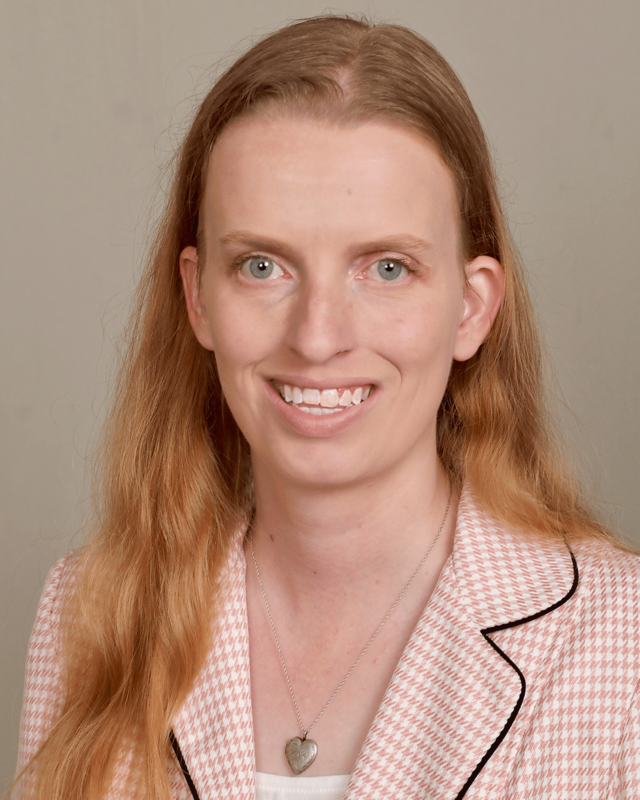 Connecting via Fiverr, I had the opportunity to “meet” author Pamela Foland while she was looking for some promotion for her middle grade book series, Megan’s World, that revolves around a girl named Megan with a big heart for animals. Megan’s adventures start when she finds four abandoned kittens that she takes home to nurse, even though her parents have told her she is not yet ready to have a pet of her own. Her next adventure comes in the form of learning how to pet-sit. Here is an opportunity for us to get to know both the author and her books a little bit better. Please note that some affiliate links are present in this post. When clicked on, they may provide me with a small commission to support my websites. Pamela Foland, thank you so much for taking time to chat with us today. What was the inspiration behind the Megan’s World series? The series is based on my love of animals. I grew up with animals in my life and now have a house of my own filled with pets. The idea for Megan’s Munchkins came from my own experience of finding and bottle raising an abandoned litter of one-day-old kittens. No, I wasn’t thirteen and hiding them from my parents, but it is an experience I’ll never forget. I still have the four babies that I raised. Misty, Gizmo, Petey and Chip are now four-and-a-half years old. How much of yourself is in Megan? I call Megan my alter ego. She is very much based on myself at thirteen years old. I chose to be around animals over worrying about clothes, popularity, or boys, so I chose to make Megan have the same personality. I even gave Megan a lot of my habits and phrases. She drinks a can of soda to wake up in the mornings just like I do. Megan calls her kittens ‘munchkins’ and ‘kitten cats’, which are my two pet names for my kittens. 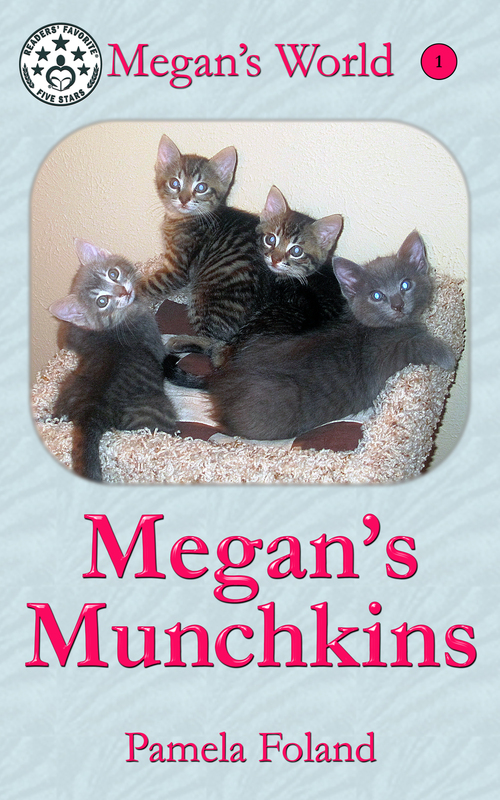 In fact I used my kittens actual names in the series and they are on the cover of Megan’s Munchkins. What advice do you have for kids who may find themselves in a similar situation of finding abandoned animals? Please don’t hide them in the closet. Learn from Megan’s experience and tell your parents about the animal right away. If you and your family can’t care for the animal personally, there are plenty of rescues and animal rehabilitation centers that will. Saving animals is a wonderful experience, but does take a lot of time and energy. Also, remember wild animals and birds should never be kept as pets. I have found and rescued many animals from birds and squirrels, to the kittens, and even a baby beaver. Thankfully I have wonderful parents who love animals as much as I do. They always helped my care for or find a home for every animal I rescued. How have your past jobs contributed to your writing? I worked as a dog trainer in pet hotels for ten years. I also had a large pet sitting clientele for eight years. Both experiences allowed me to meet many animals with personalities and habits that I use in creating my pet characters for the series. Remembering all the unique instructions I received from the clients has help me develop the different pet sitting clients that Megan encounters. What are some of your top pet sitting tips? The best thing to remember when Pet Sitting is pets act differently when being cared for by someone other than their owners. You have to be ready to think outside the box. Something as simple as separating canned and dry food for the pet can be hard to think of in the moment when your pet charge isn’t eating. Especially when the owners gave detailed instructions on mixing the food together. Use common sense when caring for other peoples pets. Remember you don’t have the same bond with the pets you are caring for. They won’t respond to you the same way as they do their owner. The dog may behave perfectly off leash for his owner but may run off of you try it. Don’t be afraid to ask the pets owner lots of questions. You may need the emergency contact number, veterinary office number, or the pets favorite hiding spot. The most important thing to remember is to treat the pets as if they were your own. Care for them the way you’d want your pets to be cared for and you will have pet sitting clients for years to come. What have been some of your most memorable pets? My first dog, Sonny the Shih Tzu will never be replaced in my heart. He was my constant companion as I made my way as a young adult on my own. I often say we grew up together, since being on your own makes a person mature and grow in many ways. He went to work with me everyday at the different pet resorts where I was the dog obedience trainer. He had no interest in socializing with the other dogs, but he loved to be around the people. Sonny had all my coworkers trained to cater to his needs. Sonny knew all my achievements and mistakes across our time together. He was in tuned with my feelings and could always make me smile on a bad day! My fondest memories of Sonny are doing his reading flash cards with him. Yes, he could read his name, numbers, shapes, and colors. Just watch his youtube videos below to see for yourself. What plans do you have for Megan in this series? Megan is going to continue loving animals and wanting to help them all. Whether she ends up becoming a veterinarian or starting a no-kill pet sanctuary still remains to be seen. Who knows she may end up doing both! I want readers to take several things away from my books. First off, I developed the character of Megan as person I would have wanted to imitate at thirteen. Yes, Megan makes mistakes, but she learns from them and grows into a very responsible, self confident, and caring young girl. I think readers can learn a lot from her confident, responsible, and determined nature. Second, I wrote the books with realistic animal habits and care details. I want readers to understand the commitment it takes to have a pet of your own. If you are willing to do the work and research like Megan did for her kittens, you’ll have a friend for life. What are some of your favorite resources about animals for kids? My favorite resources to recommend are the ASPCA Pet Care Guides for Kids. They cover a different pet in each book, giving detailed instructions for pet feeding and care. These books are simple enough for preschoolers to understand, although geared to the first and second grade reading levels. Books are available for puppies, kittens, fish, guinea pigs, rabbits, hamsters, and birds. My First Dog: A Guide to Caring For Your New Best Friend by Teddy O’Malley and Angie Dickens, and My First Cat Book by Angela Herlihy give detailed instructions as well. These books are written for upper elementary readers. I also have to include 101 Dog Tricks Kid Edition by Kyra Sundance, because training a pet is a terrific bonding experience. Do you have any other ideas for other future series? I’m working on a picture book series called Sonny the Wonder Dog. The debut book in that series, Sonny from Outer Space, will be released June 21, 2018. In this book, the Dogstar army commanders decide to send a spy to Earth. They instruct Grog to find out about Earth’s food and fuel supplies and report back so an invasion can be planned. Once on Earth, Grog takes on the identity of Sonny the shih tzu. He is immediately found by seven-year-old Pamela and welcomed into her home. Will Sonny be able to blend in as a dog on Earth? Or will Pamela discover Sonny’s true identity and plan? My Megan’s World series has the third book, Megan the Pet Whisperer, coming out March 6, 2018. 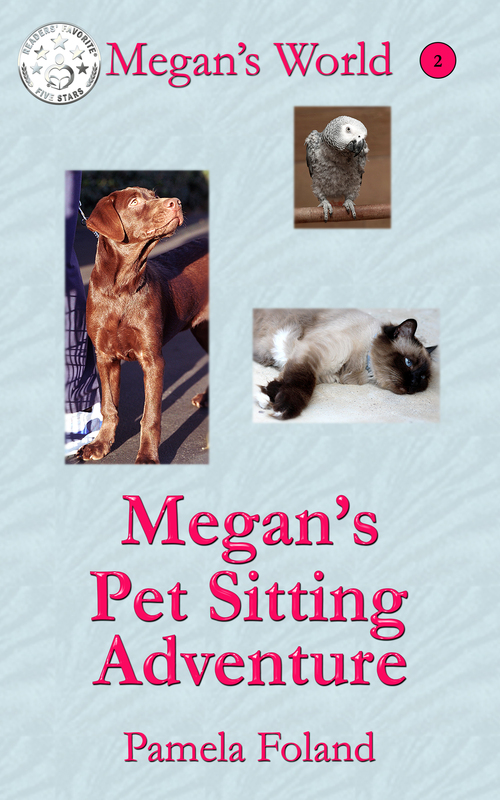 In this novel, Megan is asked to pet sit for Dr. Newton’s capuchin monkey, Monty. Monty is terrified of most people, and the vet staff refuses to handle him, but Megan and Monty instantly have a special bond. Three days of caring for Monty allows Megan to see the inner workings of a veterinary office. Megan hears about all sorts of scared boarding animals, and now she wants to help them all. She is certain she could get the shih tzu mix to eat, and the cat out of the carrier if she was given a chance. Unfortunately, the vet staff acts like she is the annoying little sister. Will Megan ever be able to gain the vet staffs trust and work with other animals at the vet’s office? When you’re not writing, what can we find you doing? I spend a good portion of my free time playing and caring for my five cats, dog, and rabbit. I’m an avid reader of any animal story I can find. I enjoy binge watching my favorite shows on Amazon or Netflix on rainy days. I also love taking pictures of my pets and scrapbooking our journey together. Where can readers find out more about you and connect with you? Pamela Foland grew up in Plano, Texas. Her love of animals started at a very young age. As a child, she was constantly bringing home stray dogs, and injured birds. She graduated from the University of Texas at Dallas with a Bachelor of Science degree in Biology and a minor in Business in 2005. As an adult, her love of animals has only grown stronger. Pamela has worked in numerous pet hotels as a dog trainer and is certified to teach pet first aid and CPR. All her experience with pets culminated four years ago when Pamela found and raised an abandoned litter of day-old kittens. Not able to part with any of these now-grown babies, Pamela enjoys going home to her “little munchkins” every night. This experience gave Pamela the inspiration for her series debut, Megan’s Munchkins. Pamela will always have a special affinity with Megan because of their shared experiences. She truly believes there are few experiences in life more compelling than saving the life of another being. Not everything hidden in the closet is scary, even if it’s furry and has sharp claws! Every teenager’s dream come true and every parent’s worst nightmare, Megan’s Munchkins is a short and sweet tale about a middle-school girl finding, quite by accident, the pet she had always wanted. Plus three more! It’s almost Spring break and adventurous thirteen-year-old Megan Thompson finds four tiny day-old kittens in the park and makes a decision on the spot that will turn her life upside-down. What does a young girl do who has been told by her parents over and over again that she may not have a pet? In Megan’s mind, there is no question. She must save these motherless newborns, even if it means keeping them a secret from her mom and dad. The next five weeks are an exhausting blur of vet visits, endless cycles of feeding schedules, household chores, homework and sneaking around, but Megan has never been happier in her whole life. The kittens grow quickly and begin to venture out into the world beyond the closet. Megan knows it is only a matter of time before she must tell her parents about her secret. Fate steps in and her secret is discovered. What will happen to her precious babies now?